Healthy vegan food. 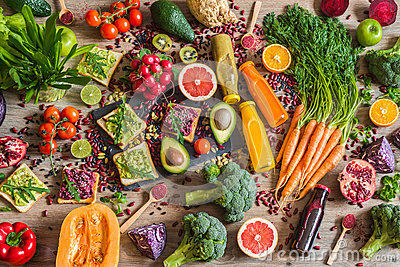 Fresh vegetables on wooden background. Detox diet. Different colorful fresh juices.